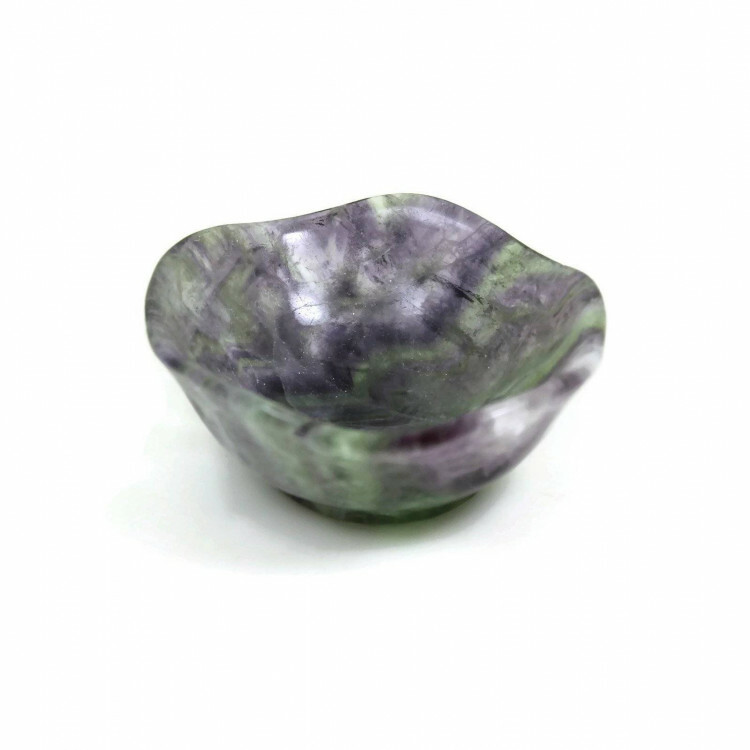 These gorgeous bowls are carved from a block of banded rainbow Fluorite. These bowls are available in two sizes – 60MM and 80MM across, approximately. 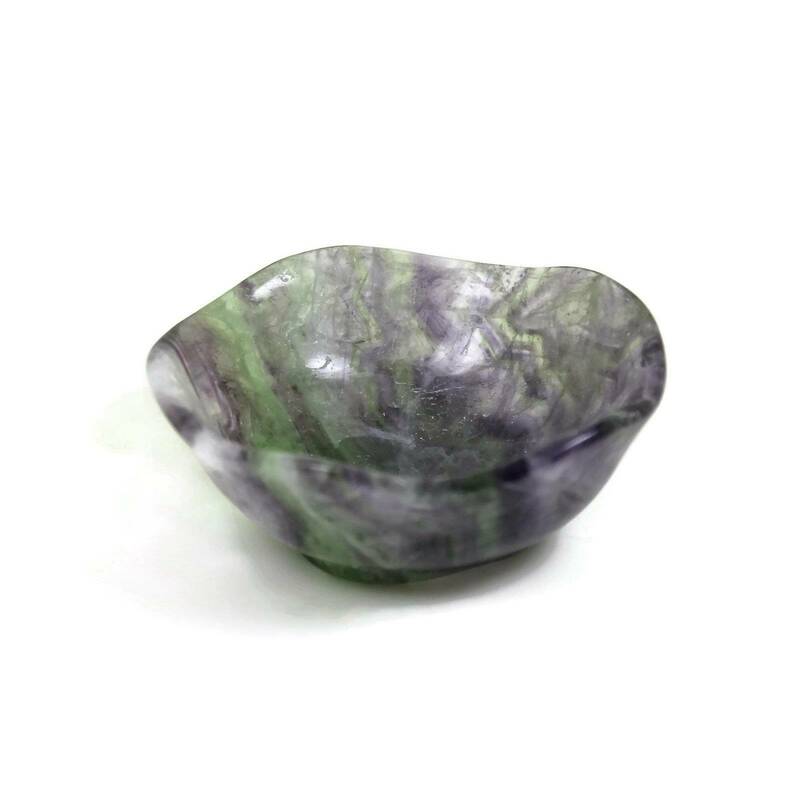 These gorgeous Rainbow Fluorite bowls are cut from a single block of the stone. These bowls are available in two sizes – 60MM and 80MM across, approximately. 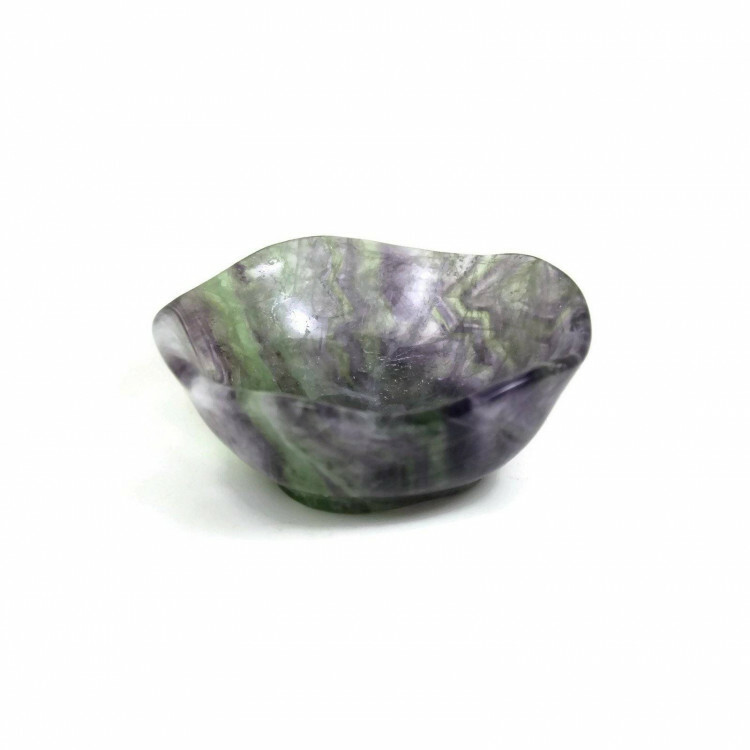 These bowls make a lovely present, and are an excellent item to purchase for any gemstone collection or collector. Obviously, they are fairly small bowls and are not intended for eating or even storage, especially. I use one to keep small glass marbles in! 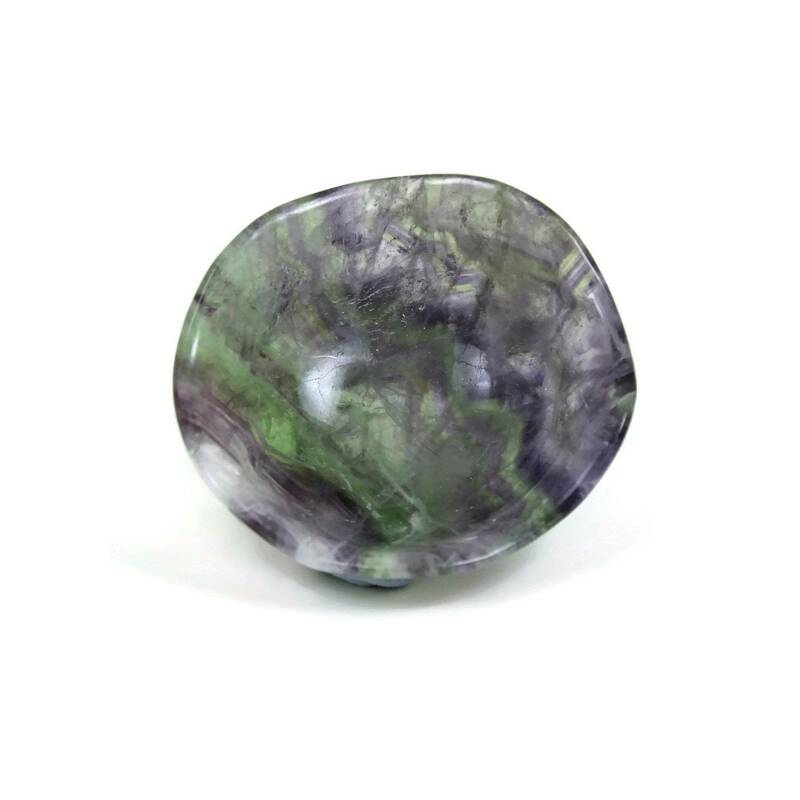 You may be interested in our other Fluorite products – we sell polished and rough fossils, and you can find a lot more information about the fossil creature itself at our main ‘Fluorite’ page.